After 3 years on tour, Klingande released his short documentary ‘3 years of Music & Love’ on MTV to celebrate and tell the story of his success ‘Jubel’ which introduced his follow up single ‘Losing U’. Alongside this, he is now the host of his own radio show in the ‘House of Chill’ series on Sirius FM. Aired monthly; the show brings in millions of listeners every month from around the globe. Unsurprisingly, it was not long before the burgeoning star caught the attention of talent scouts and tastemakers around the globe, and as the praise rolled in thick and fast, so too did the requests. His guest mixes have been applauded by the likes of Billboard and Dancing Astronaut and he has been called upon for remix treatments by everyone from Avicii & Wyclef Jean to Parov Stelar. A musician in the truest sense of the word, what sets Klingande apart from the rest is his dedication to producing unusual and mesmerizing soundscapes. Constantly introducing instruments not usually encountered in typical electronic music, his third official single ‘RIVA (Restart The Game)’ – released earlier in 2015 and featuring French singer Broken Back – even saw him experiment with the harmonica to almighty applause. He followed up with the brilliant ‘Losing U’ introducing a quartet of chords. Bringing his saxophone player, and Violin player since end of 2016, to every show he plays, Klingande ensures this experimental attitude resonates throughout his live performances and it is therefore no surprise that he has been called upon to play at major festivals, from Ultra Music Festival in Miami to Tomorrowland and TomorrowWorld. 2016 was one of Klingande’s most prolific years to date. He released ‘Losing U’ in February and ‘Somewhere New’ in August, which amassed over 37 million streams on Spotify alone and reached Platinum status in Sweden. 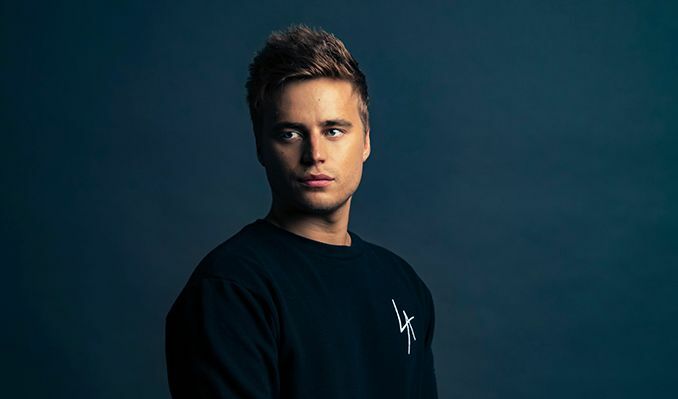 Known for his innovative productions, Klingande even further by producing the first facebook live stream music video in history for this single, alongside At Night Studios. The video impressively went according to plan as 40 people came together to tell a wonderful story through 11 different environments. Over the past year, Klingande has been working on his live tour where he brings out musicians playing the guitar, violin, drums and of course saxophone – creating a truly immersive live experience. With this new concept, Klingande played a monumental live show last year at the Roundhouse, London with Kungs and Felix Jaehn, and brought it to festivals like Lollapalooza. 2017 sees Klingande keep his busy tour schedule up across the US, South America and Europe with already announced dates at Tomorrowland, Parookaville, Mysteryland and returning to Ibiza in the summer. All whilst he continues to find new creative ways to express himself in the studio and on stage. He just released his newest single Pumped up, early September, which is a housy remake of Foster the People – Pumped up Kicks originally released in 2011.